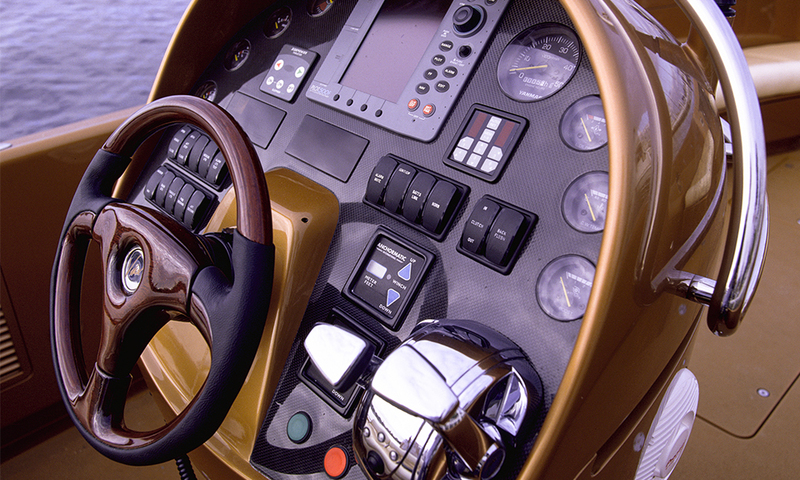 Vikal delivered four new tenders to Pelorus. Shortly after handover she was sold to a new Owner. 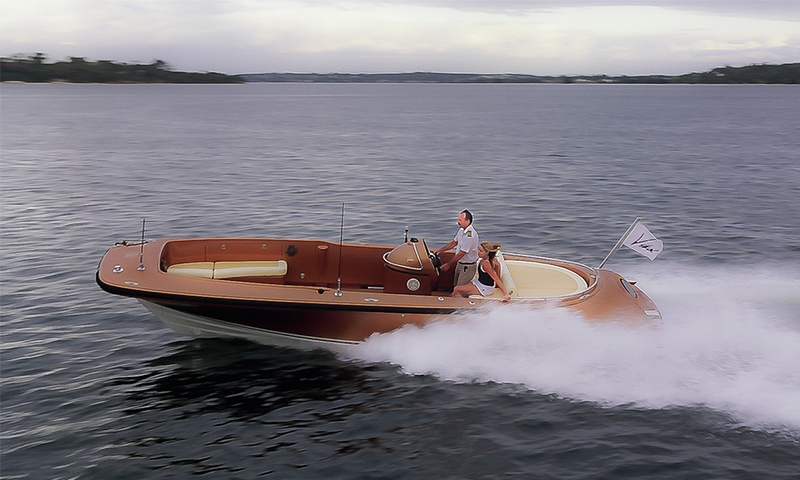 This classic Tim Heywood designed Sports Tender with 27 hours of use was taken off the yacht at that point. 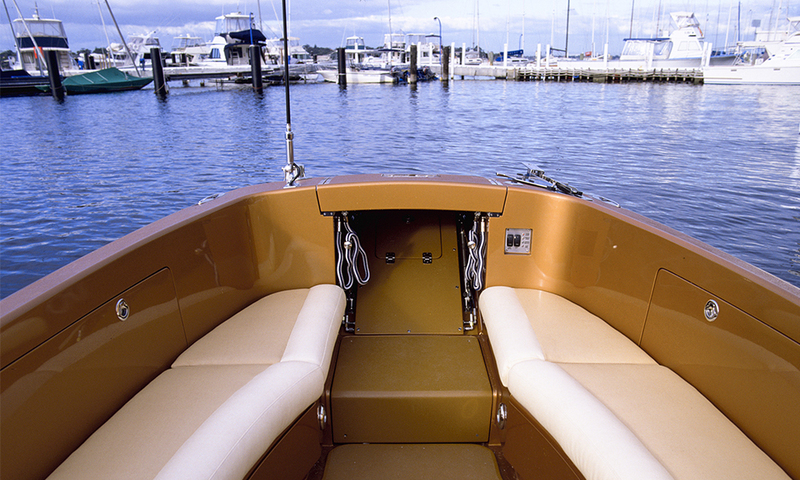 This tender is one of four built for the same yacht. All share some styling details, including metallic paint finishes, polished stainless steel and mat finished titanium. 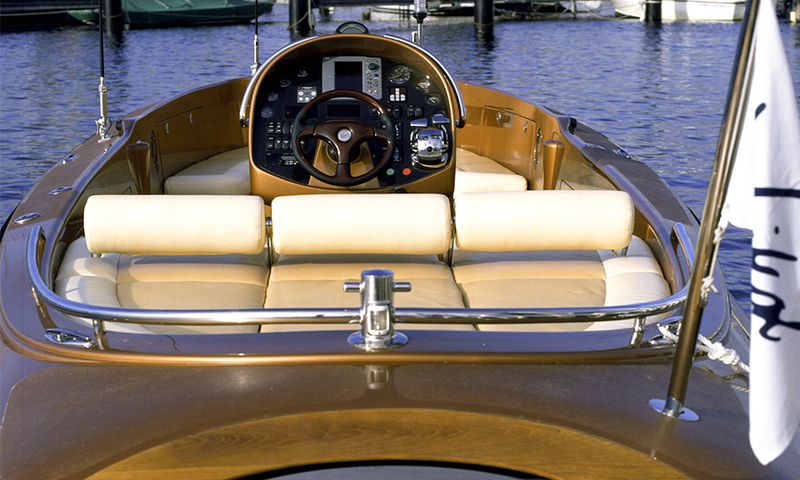 Intended as a runabout and owners toy, this tender is a modern incarnation of the 1950's Riva classic runabout.